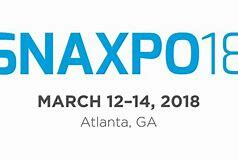 Snaxpo is in Atlanta, Georgia on the 12th to 14th March 2018 for it's 81st Annual Snaxpo Exhibition. The exhibition will take place at Georgia World Congress Centre, Atlanta, Georgia. Visit us at Booth 613!